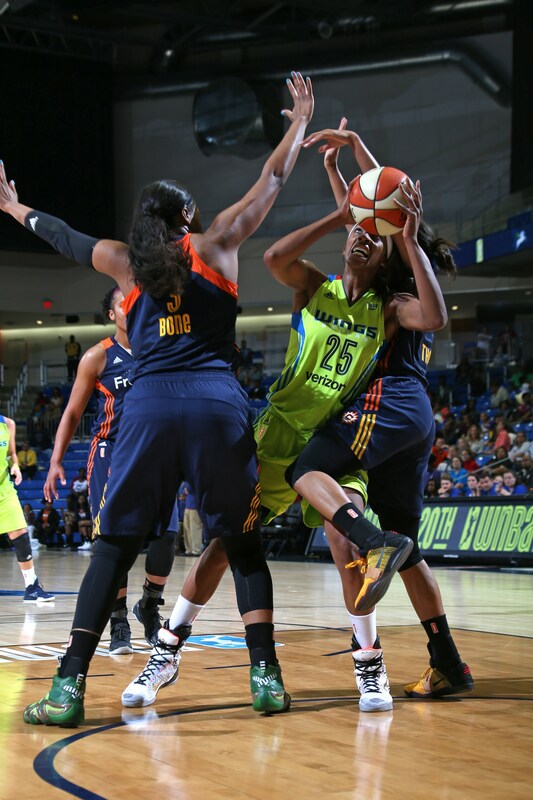 ARLINGTON, TX - MAY 8: Glory Johnson #25 of the Dallas Wings shoots in a WNBA preseason game between the Connecticut Sun and Dallas Wings on May 08, 2016 at the College Park Center in Arlington,Texas. 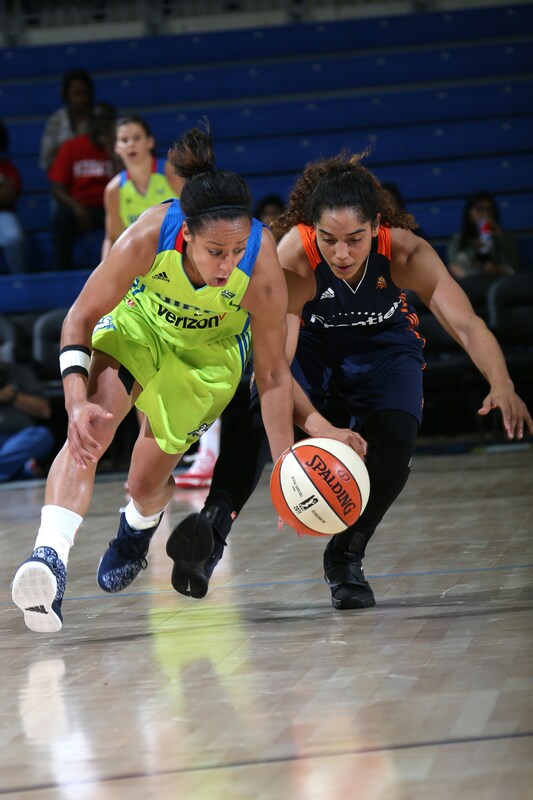 ARLINGTON, TX - MAY 8: Brianna Kiesel #1 of Dallas Wings handles the ball against Jennifer O'Neill #0 of the Connecticut Sun in a WNBA preseason game between the Connecticut Sun and Dallas Wings on May 08, 2016 at the College Park Center in Arlington,Texas. 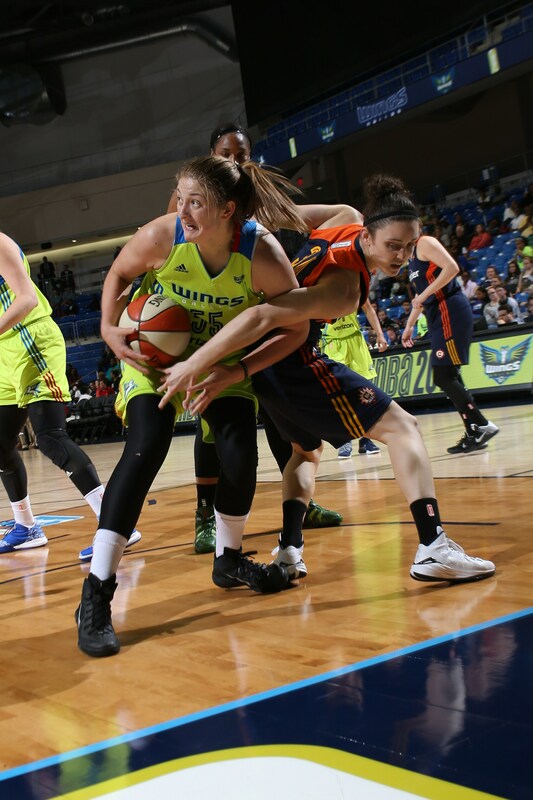 ARLINGTON, TX - MAY 8: Theresa Plaisance #55 of the Dallas Wings handles the ball in a WNBA preseason game between the Connecticut Sun and Dallas Wings on May 08, 2016 at the College Park Center in Arlington,Texas. 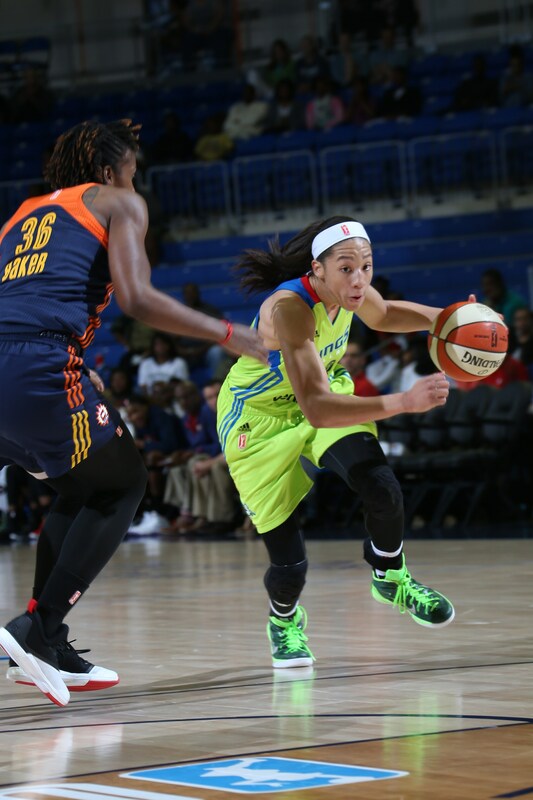 ARLINGTON, TX - MAY 8: Aerial Powers #23 of Dallas Wings drives to the basket in a WNBA preseason game between the Connecticut Sun and Dallas Wings on May 08, 2016 at the College Park Center in Arlington,Texas. 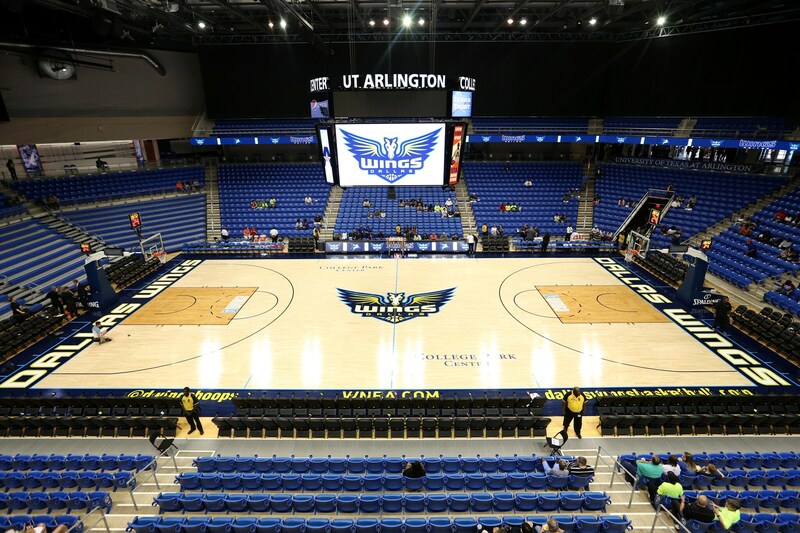 ARLINGTON, TX - MAY 8: A general view before a WNBA preseason game between the Connecticut Sun and Dallas Wings on May 08, 2016 at the College Park Center in Arlington,Texas. 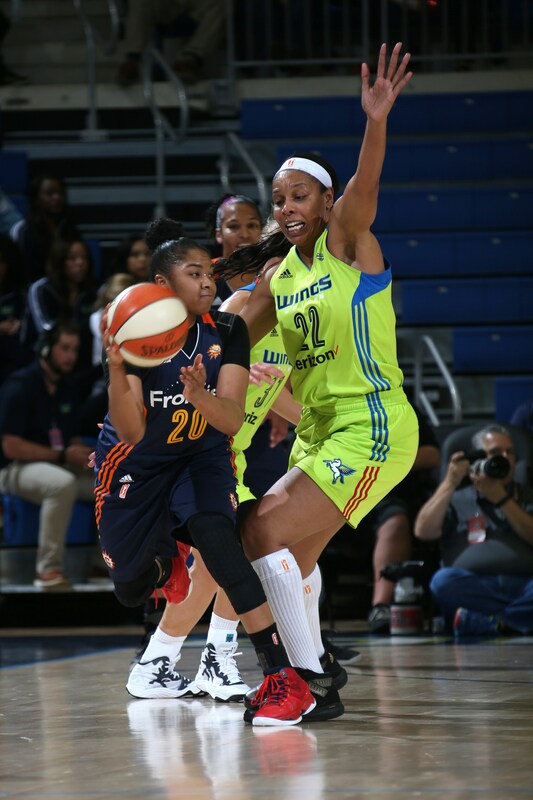 ARLINGTON, TX - MAY 8: Alex Bentley #20 of the Connecticut Sun handles the ball against Plenette Pierson #22 of the Dallas Wings in a WNBA preseason game between the Connecticut Sun and Dallas Wings on May 08, 2016 at the College Park Center in Arlington,Texas.